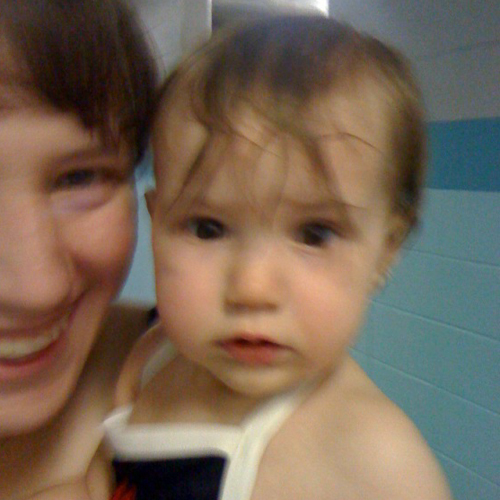 We had some fun swimming today. 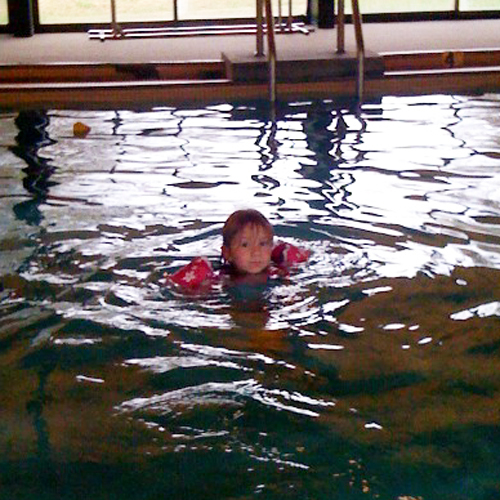 The photos aren’t the best, but they were taken with a camera phone at an indoor pool. There is only so much that can be done to help that. The water was so warm it was like bath water. Everyone had a blast and enjoyed the water at their own pace. I dunked Julia once and gave her the opportunity to bob her face into the water which she only did twice. She enjoyed the pool/Mommy time a lot! Emily was a fish in the water. 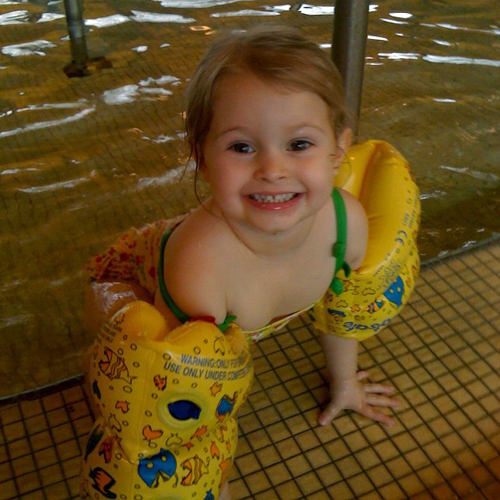 She is confident in her floaties and would kick and swim herself around the pool. We need to work on jumping into the pool and getting her face into the water more, but I couldn’t be more pleased with how well she did today. If we could go back tomorrow, I would – maybe soon!